OMAHA, Neb. – Tribal leaders from throughout the country, along with their supporters, are gathering today for a peaceful rally outside the U.S. Army Corps of Engineers office in Omaha to oppose the Dakota Access Pipeline. They will hand deliver letters from supporters, including People’s Action Institute and Native Organizers Alliance, as well as the Winnebago, Ponca, Santee Sioux, and Omaha tribes opposing the pipeline route that has already desecrated sacred ground and puts important water resources, including the Missouri River, in danger. Native leaders are also calling on President Obama to use the climate test he established for the Keystone XL pipeline into effect on the Dakota Access pipeline – and reject any project that undermines efforts to reduce greenhouse gasses. On Friday, a federal judge is expected to announce a decision on an injunction seeking to stop the pipeline. “The Army Corps of Engineers continues a sad tradition of our government prioritizing corporate need and greed instead of honoring our commitment to Native people,” said LeeAnn Hall, co-executive director of People’s Action Institute. In the last few weeks, thousands of people from throughout the country have joined the Standing Rock Tribe in North Dakota to peacefully protect the land and water. Over the Labor Day weekend, workers flagrantly bulldozed sacred grounds at Standing Rock while elders, children, and many others watched in horror. Private security forces also brazenly used attack dogs against families who attempted to protect the sacred burial site. “We are shocked by the brutality – and the loss to future generations,” said Judith LeBlanc, director of the Native Organizers Alliance and member of the Caddo Tribe of Oklahoma. “This is an especially horrifying example of disdain for the history of the Oceti Sakowin people and of the disrespect Native people encounter on a daily basis. “We are standing with Standing Rock, and with people throughout Indian Country in calling on President Obama to stop the Dakota Access Pipeline now, before more irreversible damage occurs to the ancestral sites, as well as the water that nourishes this entire region,” said LeBlanc. 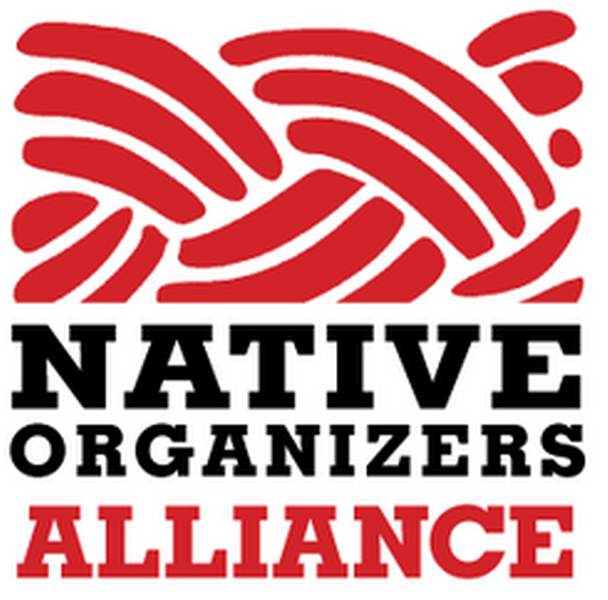 Native Organizers Alliance, a project of People’s Action Institute, is dedicated to building the organizing capacity of Native organizers and groups building grassroots power for change among native peoples across the continent. People’s Action Institute is a national organization fighting for democracy and economic fairness, with more than a million volunteers in 29 states. From family farms to big cities, from coast to coast, we push for community over greed, justice over racism, and people and planet over big corporations.